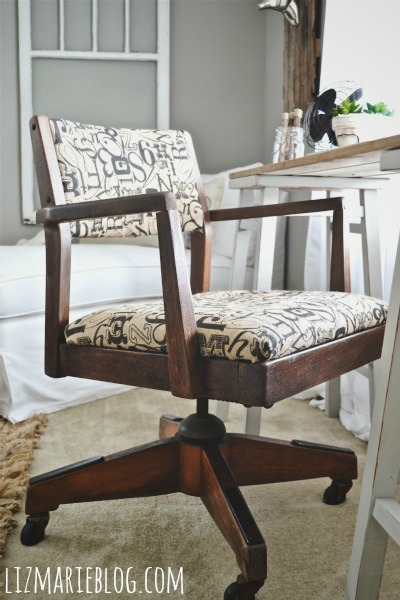 Liz Marie, from Liz Marie Blog, is the proud owner of an amazing vintage wood desk chair that looks like it probably cost several hundred dollars from a store like Pottery Barn, with its beautiful rich wood and wonderful typography burlap fabric. But of course, this desk chair wasn’t a costly purchase from Pottery Barn. She found the chair about a year ago, and it looked a little different than it does today, with dull wood, and worn out fabric. While she was working on her office space recently, she remembered this (potentially) lovely little chair that had been sitting in her garage, and was happy to finally have a use for it. She cleaned up the wood with some sandpaper, then used Minwax Special Walnut stain to bring the wood back to life. 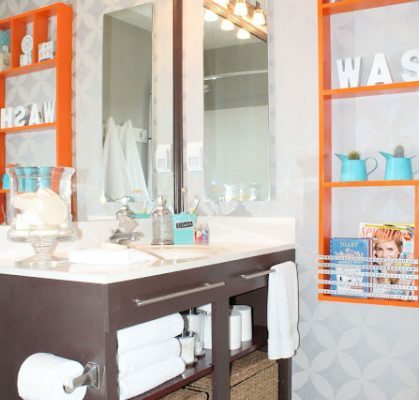 She also removed the top and bottom cushions, removed the old and worn out fabric, and replaced it with the typography burlap fabric from Hobby Lobby. What a perfect addition to her new office area! 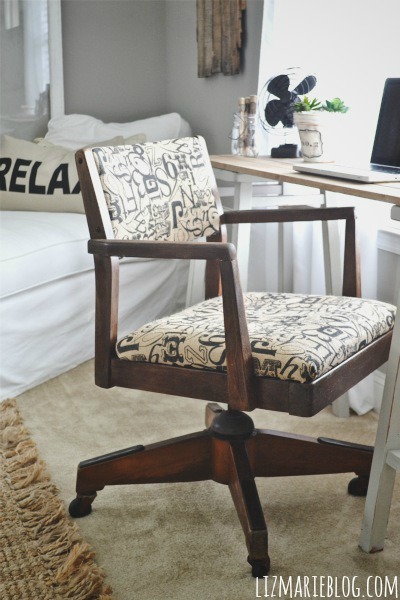 Click here to see more of this beautiful chair makeover (plus some additional peeks of Liz Marie’s office space). You can also follow Liz Marie Blog on Facebook, Pinterest and Instagram. Next Post Dreaming Of Home: I Long For An Organized Garage & Workshop!! 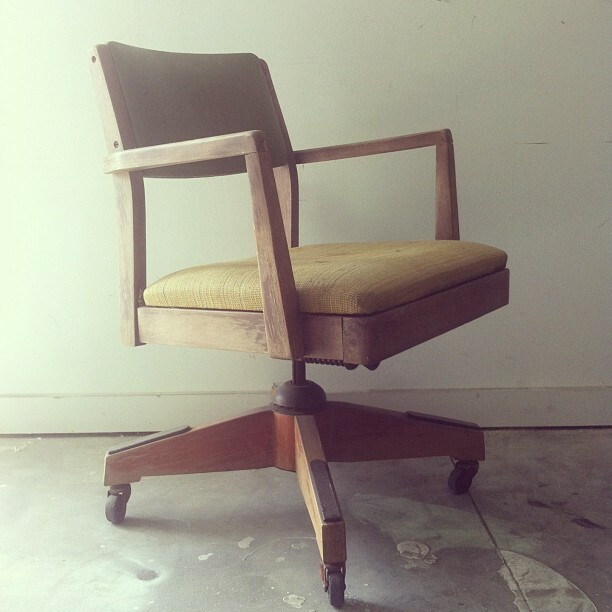 I love the total look of this refurbished office chair. The wood looks so bright and that fabric is perfect for an office! Great job! That is a great chair! 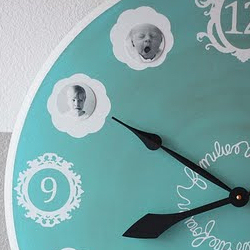 I love everything about it and am wondering how long it took you to refurbish it? What a gorgeous fabric – I love the mix of old chair and contemporary black & white pattern.